When in doubt about what to wear, the all-black ensemble will never meet a chicer, more sophisticated match. 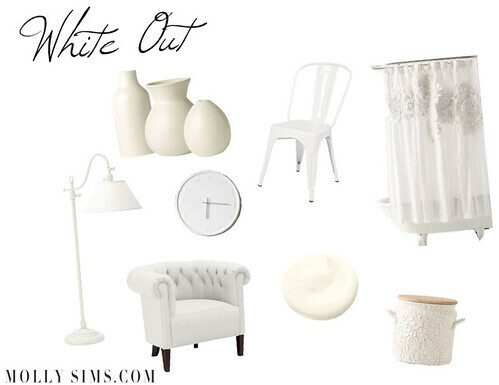 If you’re considering a mostly monochromatic palette for your home, however, white is the only acceptable answer! I personally adore an all-white interior because it allows you to play with bolder accent colors and more interesting textures than you might normally be able to get away with. Add a pop of pink here or a rich brown there and it’s sure to stand out. Plus, is there anything more luxurious than crisp white linens or alabaster dishes?